Is the carpet in your office looking dull, dingy, or down right DIRTY! Call us today for a FREE no obligation commercial carpet cleaning estimate. At Mighty Clean Carpet Care, we understand the importance of making a good first impression. That’s why we offer Commercial Carpet Cleaning Services. When a client visits your place of business they should see a clean professional environment and feel confident that you take pride in the level of service that you provide. We clean carpet for many of the local business and have experience cleaning High end commercial carpet like wool, as well as normal commercial glue down carpet. Let us personalize a commercial carpet cleaning program tailored to fit your company’s specific cleaning needs and budget. 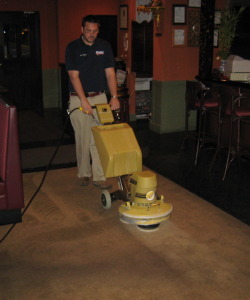 We offer one time carpet cleaning services and commercial carpet cleaning maintenance programs to ensure your businesses flooring always looks clean and professional. 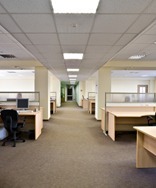 Create a safe and clean environment for your employees with our hypo allergenic commercial carpet cleaning service. Do you have employees or customers with allergies in your office? The cleaning agents we use to clean the commercial grade carpets are 100% Safe for your employees with allergies or chemical sensitivities. 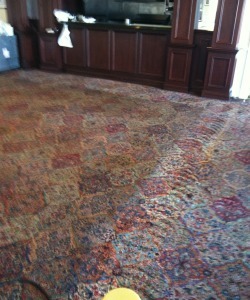 We also offer commercial carpet repairs. Do you have bubbles, pulled rows, or other carpet repair needs in your office. Call Mighty Clean for a fast and friendly estimate. We want to make a great impression on you as well, so call today for a FREE on-site evaluation and estimate (703) 373-7444.